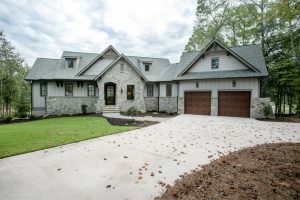 Nestled among exclusive mountain and lake properties across Upstate South Carolina, The Cliffs Communities® offer the finest in luxury Southern living. Surrounded by stunning views, world class golf courses, a plethora of activities, and an active adult lifestyle, each community also provides its own unique character. 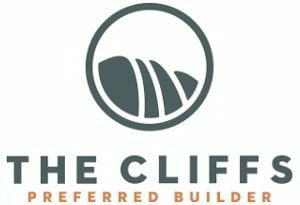 Arthur Rutenberg Homes is proud to be a Cliffs Preferred Builder. 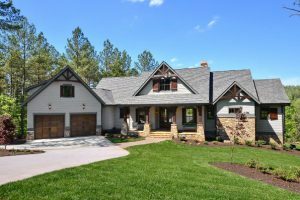 Our custom homes bring the details of your dream to life while also ensuring that you can take the best advantage of the Cliffs environment and first-class building standards. You can search high and low and not find a better luxury home community than the Cliffs Communities, and now you can match that unparalleled environment with one of Arthur Rutenberg’s award winning custom homes. Gary Player has called The Cliffs at Mountain Park “the Switzerland of America.” Player made headlines when he moved his family and his global headquarters to the development that offers stunning views of the Blue Ridge Mountains. Encompassing 5,000 acres and bordering over one million acres of protected woodlands, including 14 state parks and four national forests, The Cliffs at Mountain Park is located at the edge of the Blue Ridge Mountains in the Western Carolinas between Asheville, North Carolina and Greenville, South Carolina. Natural splendor surrounds The Cliffs at Mountain Park: dozens of fresh-water streams and rivers from the neighboring Blue Ridge Mountains criss-cross the property. As The Cliffs’ first community, The Cliffs at Glassy set a high bar for all of subsequent Cliffs Communities. 50-miles of scenic views await you every morning. As do 3,500 acres of protected forests, clean air, and numerous amenities including: tennis, golf, clubhouse, sunset pavilion, Glassy Chapel, and wellness center. If you want to build your very own mountain home you’ll be hard pressed to find another community with such scenic views and plush amenities. Photos and community information are credited to Cliffs Communities. Fall Events in Greenville SC →← Clebrating 10 Years Of Custom Home Building In Upstate, SC.